As the world becomes more aware of how important it is to reduce our collective carbon footprint, so do those who design and build new homes. Architects and homebuilders agree that installing solar panels can have the biggest impact when it comes to significantly reducing or eliminating a building’s carbon footprint. Here are three things to consider if you’re thinking about building your dream green home. You might think “green home” and “net-zero” home mean the same thing, but there are differences. A “net-zero” home has essentially one key goal: Reducing the home’s carbon footprint to the point where it has zero carbon impact on the environment. This is accomplished by generating electricity without fossil fuels and by maximizing energy efficiency. By incorporating green homebuilding trends and choosing to power their home with a renewable energy such as solar, homeowners can significantly reduce their overall impact on the environment. If your family’s goal is to build a net-zero home, your architect’s choice of paint, roofing materials, insulation and other construction materials will be specific to that energy-savings goal, and may be less focused on whether the materials are recycled or made with sustainable products. Your builder or architect should be aware of the latest energy efficiency requirements for new construction. SunPower’s Matt Brost recently wrote about California’s Title 24 regulations, but California isn’t the only state requiring builders to reduce home energy costs through solar or other energy efficiency measures. According to a Curbed article on green building, in 2016 there was a 33 percent increase in the number of net zero housing units built in the U.S. and Canada. Cities are setting their own standards, such as in Austin, Texas, which has a 2050 target to reduce carbon emissions to zero for all new buildings and homes. With Title 24 regulations going into effect by 2020, and with solar installation costs continuing to decrease, it’s expected that the majority of new single-family homes in California will soon be solar-powered. Consequently, if you’re asking your builder to add solar to your home now, you’ll not only be using solar to comply with new building regulations, but you’ll be positioning your home to be competitive for the real estate market in the future, when solar will be more standard. Let’s say you and your architect have decided solar will be a part of the plan for your net-zero and/or green home. At this point, your architect will be calculating your power needs and figuring out how much power can be produced on your home’s roof. First, the architect, often working in partnership with a professional solar installer, will need to consider the orientation of the roof that will have solar. In general, you’ll want at least one roof surface oriented toward the south to capture the most light during the day, especially in the summer months. Second, the architect will need to create an energy budget to reduce the new home’s energy use to net zero. This energy budget will consider the energy usage from your old home and will need to account for any new energy-efficient appliances, heating and cooling systems, etc., and will estimate how much sunlight will hit the roof on an annual basis to maximize solar production and account for historical weather patterns. Lighting sensors, smart thermostats and other smart devices that reduce energy use when you’re at home and when you’re away. Once the energy budget for a net-zero home has been estimated, accounting for all the expected energy-efficiency measures, the architect and solar professional can calculate how many solar panels will be needed to offset your expected annual power. 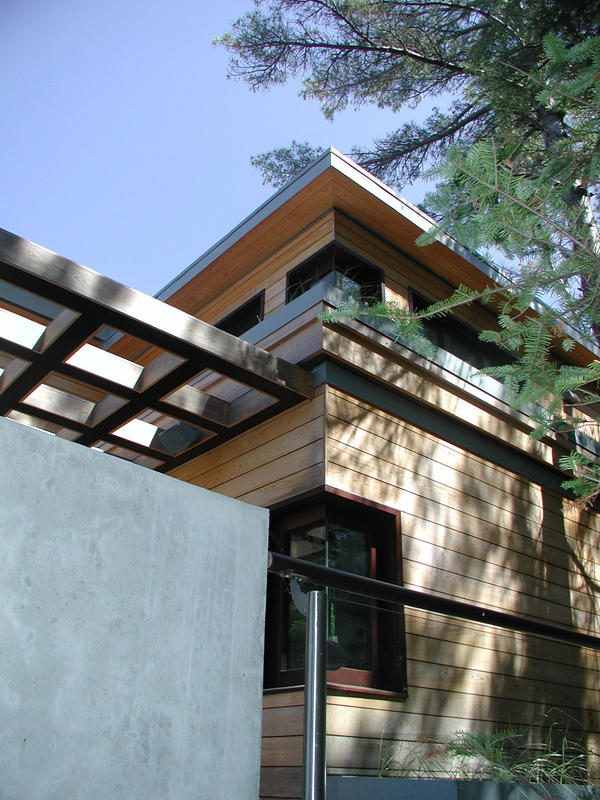 Many architects and builders select SunPower’s high-efficiency panels. In fact, 10 of the top 13 U.S. homebuilders choose SunPower® panels for their power production capabilities and for how attractive they look. If you’re an architect, builder or green-homebuilding enthusiast attending one of the nation's most well-known homebuilding trade shows, the Pacific Coast Builders Conference 2017, in San Diego this week, stop by Booth 1723 to learn more about how SunPower can be elegantly and efficiently designed into new homes. Matt Brost, SunPower’s Senior Director of Sales, New Homes, will be speaking on June 28 at 2:30 p.m. about the role of solar PV for code compliance today and in the future.